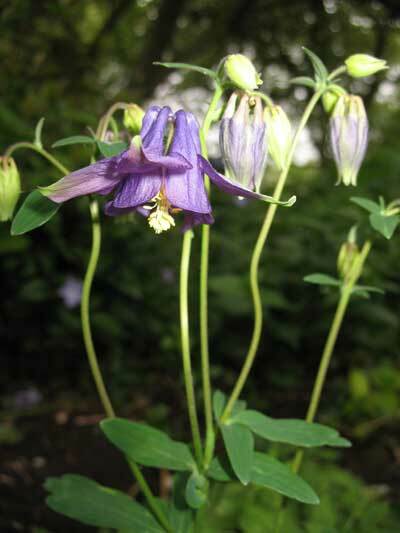 Whilst eating my lunch I caught the Chelsea Flower Show and was reminded how beautiful the aquilegia is. I have a purple aquilegia and a pink aquilegia in my garden. The purple variety is flowering at the moment. The large plant I had last year has not grown so big this year although I do seem to have some hens that like to scratch around in the flower beds so maybe this has disturb the large aquilegia. The plant in the picture is from seeds that I scattered last year. What flowers do you like to see at the Chelsea Flower Show?